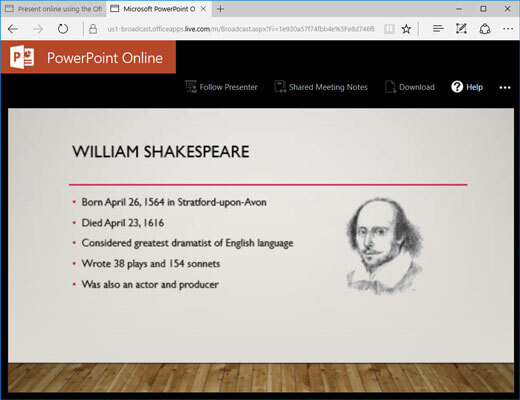 Microsoft PowerPoint 2019 includes an online presentation feature that makes it ridiculously easy to share your presentation with other people remotely over the Internet. All you need is a Microsoft account, which you already have if you’re an Office 365 subscriber. If you don’t yet have an account, you can sign up for one. 1. Click the Present Online button in the Slide Show Ribbon tab. Doing this brings up the Present Online dialog box, shown here. 3. If prompted, enter your Microsoft account username and password. After you are connected, this dialog box is shown. 4. To send an email to your meeting participants, click Send in Email. Next, complete the email by adding recipients and any other text you want to add and send the email. Your participants can then click the link to open the presentation in their web browsers. You can also click Copy Link to copy the presentation link to the clipboard. You can then paste the link into an email to distribute to your meeting participants. 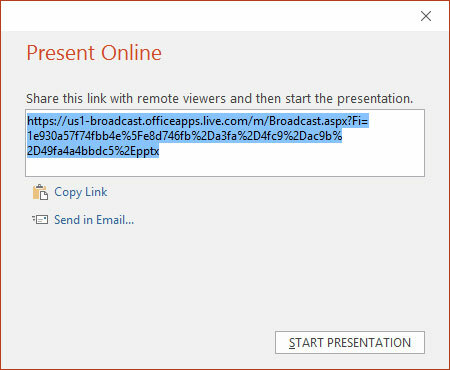 Or, you can paste the link directly into the Address box on any web browser to view the presentation. 5. 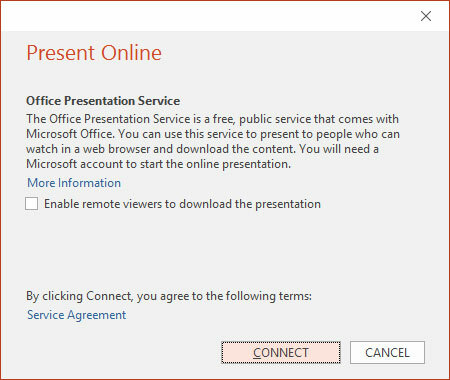 When everyone is ready to view the presentation, click Start Presentation. This starts the presentation. Your participants can follow the presentation in their web browsers, as shown here.